DAVID LE/Staff photo. 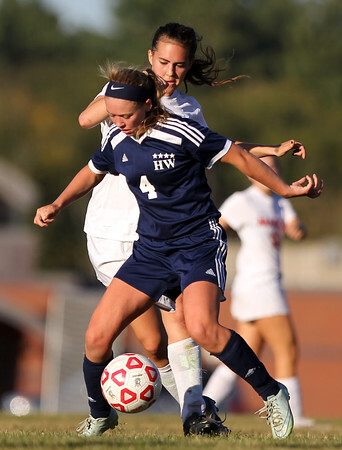 Hamilton-Wenham sophomore midfielder Erin O'Shea (4) tries to turn against Masco senior Riley Blake. 9/24/15.